There are people who always want to learn more on what they use and what they employ in day to day life. If you are into such a pool of people, then here is a perfect write up that will make sense over the story behind the invention of fiber optics. The article is centered on the people involved who dedicated their thoughts and energy over the creation of fire optics. There must be controversies in every single action. Those controversies are also recorded in this article. Let us move into the write up and hope it will be better to give you a brief idea on what fiber optics really means. In earlier centuries, when someone wanted to convey some important news to another person who was miles away, it was not that easy. A lot of traditional methods were employed to deliver the message. But, in this contemporary period, much advancement like mobile communication, communication through mail, satellite, and even more has made exchange of information easier and quite simpler. Fiber optic communication which was invented in the early 1970s paved way for the telecommunication systems. The phenomenon of transmitting images, data and voice through the passage of light via thin transparent fibers is known as the fiber optics communication. Alexander Graham Bell â€“ 1880s â€“ He contributed to the invention of photophone. John Tyndall â€“ 1854 â€“ A British physicist, who proved that the light rays can pass through a bent stream of water without fluctuation. William Wheeler â€“ 1880 â€“ The lights that used the electric arc lamp from the basement of houses that helped in illuminating the house was discovered by him. 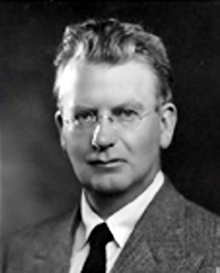 John Logie Baird â€“ England â€“ For transmitting television signals, the idea of using arrays of transparent rods, was designed by him along with W.Hansell. 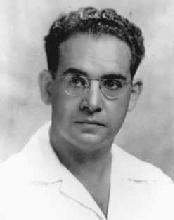 American David Smith â€“ 1898 â€“ He is the one who owns the patent for a bent arc lamp that is employed in surgeries. 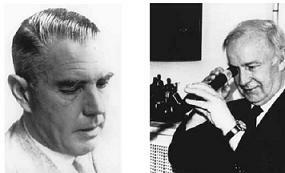 These are a set of inventors who were either directly or indirectly involved in the invention of the fiber optics. Though they were not working together, their thoughts had some telepathy along with some disturbing controversies too. Did you ever wonder if light can pass through any bent medium without getting distracted? If yes, here is an answer. John Tyndall in 1854 experimentally proved that the light rays could evenly pass through a curved stream of water. Thus, he tried and succeeded in proving that the light signal can be bent. Further advancement was made in 1880 by Alexander Graham Bell. He invented his photophone that year which transmitted a voice signal on a single beam of light. The basic mechanism behind his invention was focusing solar energy over a mirror and he then talked over a mechanism that made the mirror to vibrate. A detector was placed at the receiving end that reproduced the same voice received by the receiver. Any bad weather like a cloudy day can easily interfere with the working of this invention. It was in 1902 an English man, John Logie Baird, along with an American, Clarence.W.Hansell, patented their unique innovation. 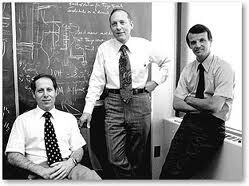 They worked on using sequences of rods that were transparent that could easily transmit images for televisions. It was a medical student Heinrich Lamm, who first assembled a bundle of optic fibers in order to carry an image; it was in the year 1930. He successfully reported transmitting the image of a light bulb. But then, the image he made was of a very low quality. His patent for this innovation was denied. Since there was no efficient communication, people were not able to hear about the research work of others in nearby countries. In 1954, two scientists wrote papers on imaging bundles individually. The two were a Dutch scientist, Abraham Van Heel and a British scientist, Harold.H.Hopkins. The only difference between their papers was that Hopkins reported on bundles of unclad fibers whereas Abraham reported on a bundle of clad fibers. He tried covering the fibers with a transparent lower refractive index material. This helped a lot in reducing the interference between the fibers by restricting the external distortion. A theoretical description on single mode fibers was published in 1961 by Elias Snitzer who belonged to the American optical. He tried proving that a small core fiber can carry only a single wave-guide mode. His set up had a disadvantage that it had a light loss of about one decibel per kilometer. Dr.C.K.Kaoâ€™s innovation paved way for long range communications. Kao experimentally proved the necessity of a more pure form of glass to be used in order to rectify the light loses. problems with fiber optics that were spotted by Dr.C.K.Kao. The application of fiber optics extends to a wider range. In the year of 1975, the government of the United States of America planned of linking the computers that were present in the NORAD headquarters using fiber optics techniques. They also executed the plan hoping that will help in reducing the interference. Under the downtown of Chicago, fiber optic communication was laid for about 1.5 miles in the year of 1977. Here, every single optical fiber carried the equivalent of about 672 voice channels. At present, fiber optic communication is used across the world in every nook and corner. As much as about eighty percentage of the long distance traffic is being carried out with the optical fibers that were designed by the three people, Maurer, Keck and Schultz. You wrote : He tried covering the fibers with a transparent lower refractive index material. This helped a lot in reducing the interference between the fibers by restricting the external distortion. WRONG – He didn’t TRY — He actually did that.. There is a distinct difference between ‘trying’ and actually doing or achieving something. The authors of this article need to understand the distinct differences. There are no prizes for ‘Trying’ The reward comes from the achievement. That was very informative article. I didn’t know that it was from that much older ideas.